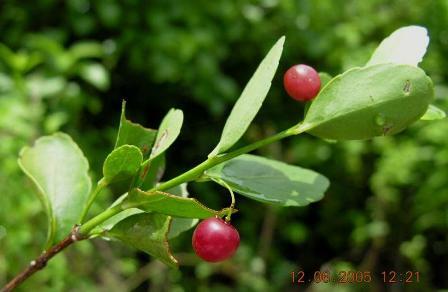 Maidenberry is known by several names which many times creates confusion in its identity. It is native to Southern Florida. It grows in Florida mainland and keys. With time, however, it has found its way to spread to other warmer countries and can now be seen growing in Mexico, West Indies and many countries in Central America. Maidenberry plant keeps bearing fruits nearly all the year round. 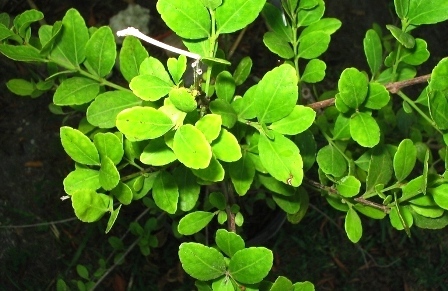 An evergreen shrub or small tree, erect, 5-7 m high. Leaves opposite, alternate, leathery, in whorls of 3, oval to elliptic, with few teeth toward tip; 1-2 cm long; petiole about 1 mm long. Flowers small, 4-petaled, fringed, red or purplish, in long-stalked clusters. Fruit obovoid fleshy drupe, red or maroon, 3-6 mm long, bright red at maturity. Many tiny seeds contained in a single stone. The roots of this plant are used to promote urination and to treat kidney and bladder infections. 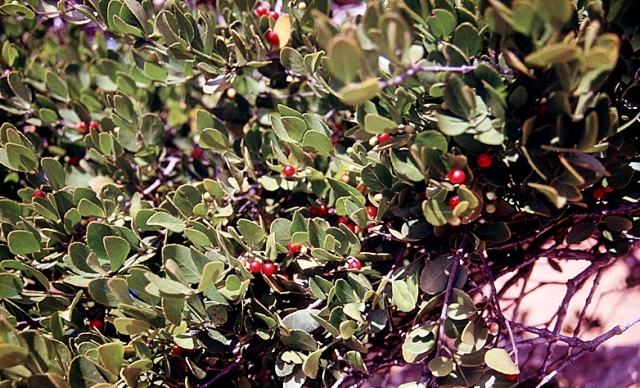 In nature, maidenberry is usually found growing in rocky and dry or excessively drained sites. It tolerates a wide range of well-drained soils.. In Puerto Rico, maidenberry grows from sea level to 400 m in elevation in areas that receive from 750 to about 1600 mm of precipitation. It is moderately intolerant of shade and withstands only moderate competition from grasses and shrubs. Maidenberry plants can be raised from seed. It is a slow growing plant and can live for several decades.